Gov. 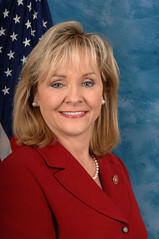 Mary Fallin’s request for drought-relief prayers for Oklahoma was featured in a recent Salon.com article that noted a trend among Republican governors to leave it up to a higher power when it comes to weather disasters, including drought. I encourage Oklahomans of all faiths to join me this Sunday in offering their prayers for rain. For the safety of our firefighters and our communities and the well-being of our crops and livestock, this state needs the current drought to come to an end. The power of prayer is a wonderful thing, and I would ask every Oklahoman to look to a greater power this weekend and ask for rain. Fallin’s statement follows a similar prayer request by Texas Gov. Rick Perry, a prayer request that, well, according to the Salon.com article, just didn’t work. But let’s hope Fallin is also praying the federal government doesn’t shut down because of GOP recalcitrance over raising the federal debt ceiling. As I’ve written before, Oklahoma ranks third, just behind Texas and California, in the number of declared disasters by the Federal Emergency Management Agency (FEMA). Without federal intervention, Oklahoma would probably be a desolate wasteland right now because of extreme weather, which includes the current potential for wildfires. What happens to FEMA funding in a government shutdown? Let’s also hope Fallin is praying that Oklahoma’s U.S. Sen. Jim Inhofe, the nation’s leading political opponent of climate-change science, finds some higher guidance and drops his campaign against scientists who warn about the effects of global warming. No one weather event can be tied to global warming, true, but is this incessant summer heat part of a pattern? It deserves scientific scrutiny. Dr. Bruce Prescott, who blogs at Mainstream Baptist, has an interesting take on this issue from a religious perspective. Fallin’s request is basically harmless, of course, but “the power of prayer” can’t make up for glaring political contradictions and pandering to big energy companies at the expense of the environment.